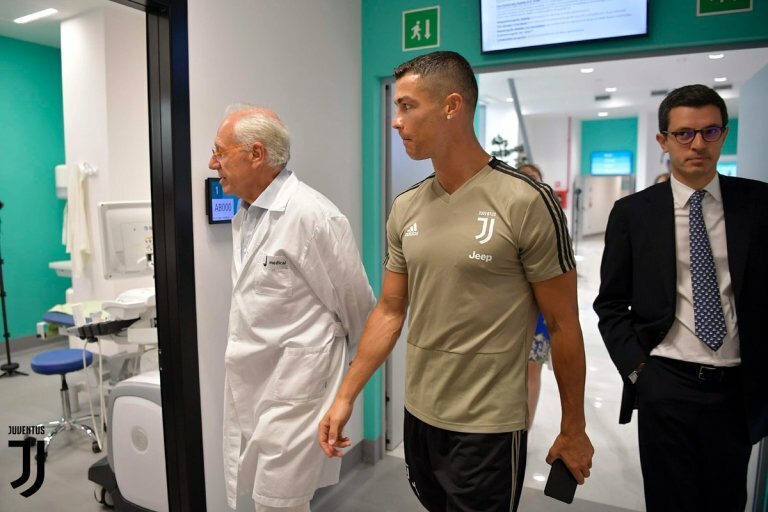 Former Real Madrid Striker and Portugal Captain, Cristiano Ronaldo is currently undergoing his Juventus medical after arriving for his €112m transfer from Real Madrid, a club he helped win four UCL trophies, three FIFA Club World Cups, two La Liga titles and two Copa del Rey crowns. 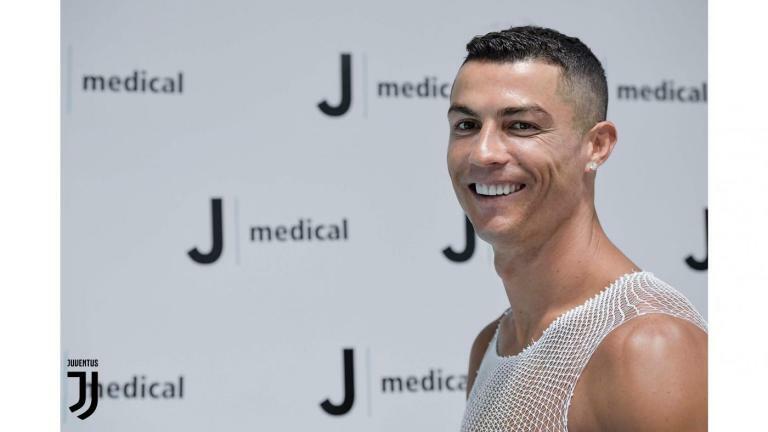 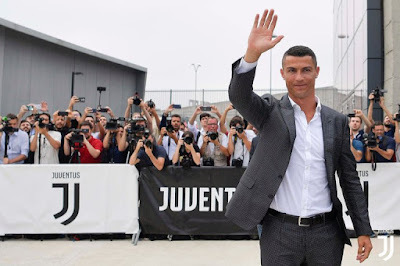 greeting fans en masse outside Juventus Stadium on Monday morning, Ronaldo checked into the club’s J-Medical facility in the venue’s east stand. 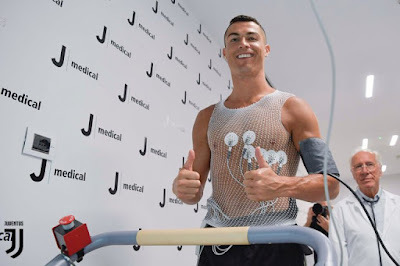 The 33-year-old looked to be in visibly good spirits during a video posted by the Bianconeri of him doing runs on a treadmill. Once his medical is over, the Portuguese superstar will be officially unveiled as the Old Lady’s latest recruit at 17:30 BST before meeting his new teammates and boss Massimiliano Allegri.